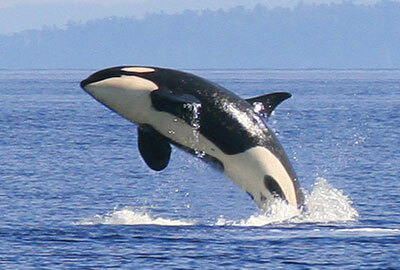 Today I want to write about one of the coolest species in the world for my 350th post, the orca. Although they are often called killer whales, orcas are actually the world’s largest species of dolphin, with males growing up to 9.8 metres long. They are extremely intelligent and utilise a range of hunting techniques to catch a wide range of prey, including seals, sea lions, dolphins, otters, penguins, large fish, sharks, rays, squid and even whales. They live in groups called pods of up to 30 animals and communicate with each other using a range of calls. At breeding time, the females are pregnant for 13-16 months. The babies are 7 feet long at birth and they are looked after by the mother for two years. Many pods also have grandmothers living in them and they also help to raise the calves. Orcas are found in all of the world’s oceans from the freezing polar regions to warm tropical waters. They are considered to be the most widespread mammal in the world after humans. Are there any other interesting facts that you would like to share about orcas? I think you say many facts of orcas.This topic is very nice and good for us to learn more about that things.